Joseph G. Teague was born in Providence, Kentucky. He received a Bachelor of Science in Mechanical Engineering in 1956, and a Master of Science in Mechanical Engineering in 1958 from the University of Kentucky. He later continued his education by taking graduate engineering and business courses from the University of Washington, University of New Mexico, and Case-Western Reserve University in Cleveland, Ohio. Mr. Teague began his professional career as a development engineer with Pratt & Whitney Aircraft in their Aircraft Nuclear Program. He designed and developed nuclear power systems for aircraft propulsion. In 1958 he joined Sandia Corporation, Albuquerque, New Mexico, developing fusing, firing and safeing systems for nuclear weapons. In 1963 he became engineering manager for TRW and managed the development and production of the Saturn-IVB attitude control engine. The S-IVB was the third stage of the Saturn rocket that propelled the astronauts on flights to the moon. Five years later, he joined the international management consulting firm of McKinsey and Company in Cleveland, Ohio, managing profit improvement, marketing, corporate strategy, for major corporations in northern Ohio, eastern Canada, and the eastern United States. In 1970 he joined Ohio-Nuclear, Inc., as president and CEO (Ohio-Nuclear later became Technicare), a company engaged in the design, manufacture and sale of diagnostic imaging equipment worldwide. Ohio-Nuclear/Technicare was the original developer of nuclear medical body imaging, computed tomographic imaging, and nuclear magnetic resonance imaging. Technicare led General Electric and Siemens, the x-ray imaging giants, into digitized, three-dimensional body imaging. Mr. Teague continued to run Technicare after it was acquired by Johnson & Johnson in 1979. In 1986 when Johnson & Johnson sold Technicare to General Electric, the company had grown to $550 million in sales and employed 4,400 employees worldwide. In 1989, he formed his own company and became President and CEO of JGT Holding, Inc. This holding company engages in acquisition and operation of smaller manufacturing companies. 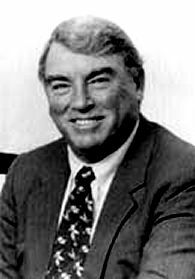 Simultaneously, he was President of Innovative Imaging Systems, Inc., a company that develops computed tomographic scanners for x-ray inspection of jet engine turbine blades, and other expensive and high-liability industrial components and systems. In the latter part of his career, Mr. Teague acquired, owned, and operated technically-advanced manufacturing companies that produced high quality products and services. He was President of Omnimold, Inc., Chagrin Falls, Ohio and he owned a majority interest in Crown Mold and Machine, Streetsboro, Ohio; Fremont Plastic Molds, Fremont, Ohio; Deep Hole Specialists, Chagrin Falls, Ohio; E.W. Daniel Company, Cleveland, Ohio; and Production Control Units, Dayton, Ohio. Mr. Teague served as a board member and chairman of the Nuclear Medicine Section of SAMA, the Diagnostic Imaging Division of NEMA and held membership in various industry associations. He was a member of Leadership Cleveland, the Board of Trustees of the Golden Age Centers of Greater Cleveland and was a member of the UK Engineering Dean’s Advisory Board. Mr. Teague died May 31, 2014. He is survived by his wife, the former Suzanne Wallace of Lexington, Kentucky.